This is the term given to a range of symptoms affecting the digestive system. It is a diagnosis of exclusion i.e. it is usually made once other possibilities have been ruled out. It is the commonest gastroenterological disorder there is, affecting at least half of all people attending gastroenterology out-patients, and probably 1 in 5 people world-wide. It is not hereditary, due to food allergy or due to bowel inflammation and there may be a number of other symptoms not related to the gut. It may occur at any age but has its peak incidence between the ages of 15 and 40, with men and women being equally affected. This remains unclear but is probably due to a combination of factors, all of which contribute to an increased sensitivity of the bowel and so leads to bowel spasm. It is therefore a disorder of the normal workings of the bowel rather than a serious pathological disorder, and as such is also sometimes called 'functional' bowel disorder. What Are The Signs And Symptoms Of Irritable Bowel Syndrome? • Abdominal pain. Usually colicky, and often the main problem. May be felt anywhere but especially low down on the left-hand side of the abdomen. Opening the bowels or passing wind may relieve this pain. • A feeling of fullness and abdominal bloating. Clothes may feel tighter through the day as the bloating often worsens with the passage of time in the day. This may be associated with rumbling bowel sounds and wind. • Diarrhoea and constipation. This may take the form of an alternating pattern of bowel movements compared to normal, with loose motions being passed several times a day contrasting with hard, pellet-like stools that are difficult to pass some days later. There may be some discomfort on opening the bowels, or a sensation of incomplete emptying of the bowels. Bleeding from the back passage is never a sign of IBS, nor is significant weight loss. • Other symptoms include tiredness, backache and urinary or gynaecological problems. Will I have any tests or investigations for Irritable Bowel Syndrome? 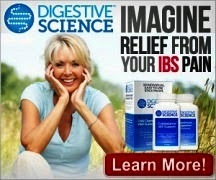 These are performed primarily to exclude any other more serious bowel disorders that may mimic IBS. In younger patients, simple blood tests such as a full blood count and tests looking for any inflammation in the body may be enough to confirm the harmless nature of the symptoms. In older people, X-rays of the bowel (a barium enema) or colonoscopy (an examination of the bowel using a flexible fibreoptic telescope) may need to be done to rule out other possible pathology such as inflammation, polyps or tumours. Any more worrying symptoms such as weight loss or blood in the motions warrants a full investigation, often by a hospital specialist. Occasionally, the response to a trial of IBS treatment may help to establish the diagnosis. What Treatment Might I Need For Irritable Bowel Syndrome? • Pain - many people find peppermint oil helpful, as well as prescribed anti-spasmodic tablets. These can be taken on a regular basis or 'as and when' if the pain occurs. • Constipation - increasing both the amount of fluid drunk daily and the amount of fibre in the diet is helpful here, although initially some people may find an increase in fibre makes their symptoms - especially bloating - worse. Occasionally, additional laxative treatment may be needed although stimulant laxatives are best avoided or used very sparingly. • Diarrhoea - loperamide is usually used intermittently for this problem, which acts by drying the motions out. In severe cases, codeine can be used but side effects such as nausea and drowsiness are more common with this treatment. • Bloating and wind - this is often extremely tricky to treat. It is however often linked to constipation and treating this helps the bloating. In a small percentage of people, using a specific treatment called a prokinetic agent, which helps to regulate normal bowel activity, can help. Examples of these include domperidone and cisapride. If severe stress, anxiety or depression seem to be causing all the symptoms, treatment with a simple low-dose antidepressant can often help in such cases. Most people with IBS have either self-limiting episodes of symptoms, or repeated attacks, often linked to stressful events. IBS never 'turns' into other, more serious bowel problems such as cancer or colitis. Almost certainly. A well-balanced and healthy diet, eating small meals often, will usually reduce symptoms, as can avoiding rich, fatty or spicy foods. There is no specific 'anti-IBS' diet, as some foods which make one sufferers symptoms worse will not affect someone else. Dairy products, bread and cereals are all often linked to symptoms but IBS is not linked to any kind of food allergy. Drinking at least 8 glasses of water each day is healthy and may also help. Send an SAE for further information on IBS or digestive disorders to; The British Digestive Foundation PO Box 251, Edgware Road, Middlesex HA8 6HG. 1. When did your symptoms start? 2. Have you lost any weight? 3. Have you noticed any bleeding from the back passage? 4. Have you been under more stress than usual recently? 5. Do you bloat up through the day? 1. Will any alternative treatments help? 4. Can I get any treatment over the counter? 5. Should I avoid alcohol?